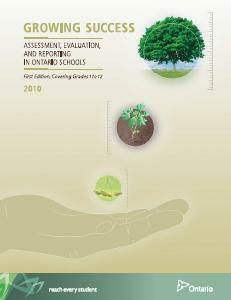 Assessment FOR, AS, and OF Learning is outlined in the Ontario Ministry of Education's document titled "Growing Success". The ongoing process of gathering and interpreting evidence about student learning for the purpose of determining where students are in the learning, where they need to go, and how best to get there. EXAMPLES - Assignments, descriptive feedback, quizzes, observations, four corner activities, checklists, using whiteboards, etc. The process of developing and supporting student metacognition. Students are actively engaged in the assessment process: that is, they monitor their own learning, use assessment feedback from the teacher, self and peers to determine next steps, and set individual learning goals. EXAMPLES - Students looking at exemplars, thumbs up thumbs down, reflecting on how they worked in their group. The GOAL of assessment as learning is to help students become independent learners with individual goals. It is a way for them to monitor and reflect on their own progress. The process of collecting and interpreting evidence for the purpose of summarizing learning at a given point in time, to make judgments about the quality of student learning on the basis of established criteria, and to assign a value to represent that quality. The information gathered may be used to communicate the students' achievement to parents, other teachers, students themselves, and others. It occurs at or near the end of a learning cycle. 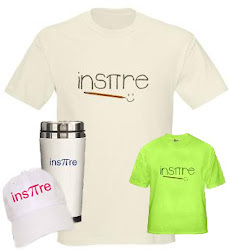 EXAMPLES - Chapter tests or assignments, culminating tasks, and/or examinations.